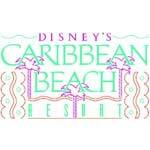 Disney's Caribbean Beach Resort is a tropical lakeside paradise set on beautiful 45 acre Barefoot Bay. 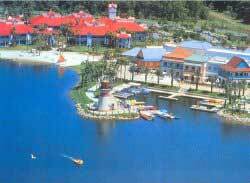 Sail away to the inviting Caribbean, where lazy days are devoted to sun and sand, swaying palm trees and island foods. Celebrate the spirit of tropical locales from the legacy of colonial forts to lively markets and enjoy the beaches, exotic birds, relaxing strolls or even a snooze in a hammock.